We have to begin challenging ourselves and our belief systems at this point in our Human history. If we begin to challenge ourselves and our belief systems we will begin to see the patterns of behavior set in place as defense mechanisms in how we deal with ourselves and others. We can begin to see how much of our mind is in the machine and how much the machine is affecting Humanity and Mother Earth. When we get our mind out of the machine we can begin to challenge the machine and the powers that were and Create something Divine. Where I come from and where I’m going are ONE and the same. Where I come from the Moon and the Stars are so close you can almost reach out and touch them because the Air is crisp and clean. Where I come from the Flowers bloom in a constant cycle of Brilliant Colors unimaginable to the Human eye. There is Prosperity and Equality for ALL Life. There is an endless Abundance of food and medicine from the Earth who Provides all her children with everything they need to survive. Where I come from it is not only a constitutional “right” but a Divine Right to pursue Life, Happiness, and Freedom from oppression. Where I come from the Universal Laws are the only laws. There is no pavement to choke the Earth from Her Breath and no toxic waste to soil her Waters and shores. The Earth is a playground of Mystery and Magic. Where I come from we communicate through our Emotions and our Empathetic Nature because there are no words to describe the depths of our Joyful Emotions. All of our Emotions come from the energy that sparked our very Creation which is the energy of Unconditional Love. There is no fear, nor jealousy, nor lust, nor envy, nor death as we know that the Universe wants to Provide for us and we are Worthy of being Provided for. There is no need to protect oneself from harm, criticism, judgement, or negativity because we Live in the transparency of Truth and Love. There is an Unconditional Love and Acceptance for ALL Life in the multiverse We Live our Lives to the fullest from our Hearts as they all beat in sync with one another and all Life in the multiverse We sing and laugh and play every day as we search for the keys to unlock all the hidden wonders of Life because we know that to Live one must always accept change in order to Evolve, Learn, and Grow. There is an endless supply of Knowledge and Wisdom to choose the path that peaks your Curiosity and Wonder. We are in Awe of one another’s experiences and titillated to hear the details of Amazing journeys undertaken in some of the harshest of conditions in order to Grow in Spirit. We are fiercely Loyal to those we Love but know that sometimes Love means letting go for to Love is to have Eternal Life. 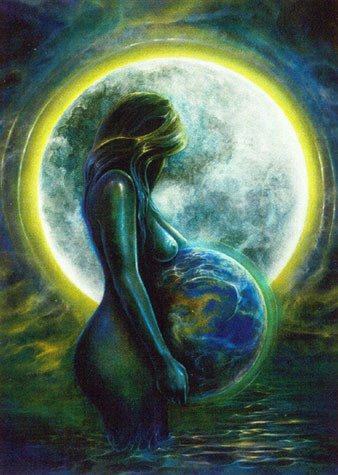 Where I come from children are our greatest masters and teachers as ALL women are Mothers to the Children of Earth for to deny our Empathy and Love is to deny our very Soul. We mirror the Beauty we see in one another’s Soul always searching to find more Beauty in the other as the Beauty of Life is endless. We work in Harmony with one another, with Nature, and with the God and Goddess who are ever present in every decision we make which is always for the Greater Good in the Spirit of Love and Life. Where I come from we Thrive in the gentle flow and rhythms of Bliss and Happiness ever Grateful for what we have and ever mindful of doing harm unto another or the multiverse. 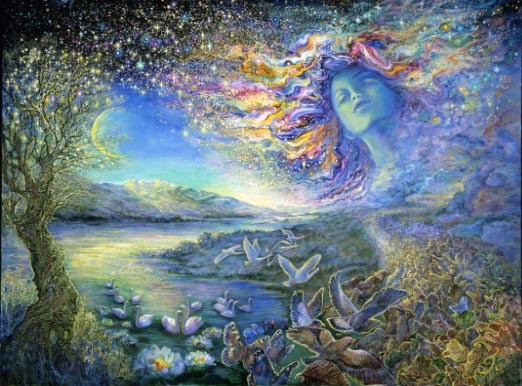 Where I come from and where I’m going are ONE and the same…I AM an Angel of Earth, I AM a Mother to all the children of Earth, I AM from Heaven and Heaven shall return to me. Reblogged this on Universal Angelic View.